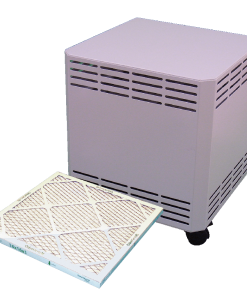 Eliminates potentially hazardous toxic, noxious odors & corrosive gasses. Removes household odors like sweat, smoke, pet & household cleaners. 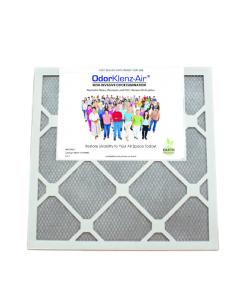 Installs into your OdorKlenz® Mobile Air System. 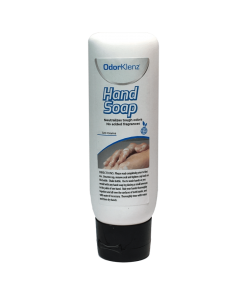 The OdorKlenz Hand Soap has a gentle and mild formula that makes it perfect for use by the whole family. Great for the kitchen, bathroom, laundry room or wherever you are when your hands are stinky and need to get them clean, fast.Chemical odors and malodors are everywhere and with the OdorKlenz Hand Soap you can neutralize them quickly. The soap utilizes patented earth mineral technology to attack the odors at the source without the use of masking agents or added fragrances. Laundry comes out clean and fragrance-free. 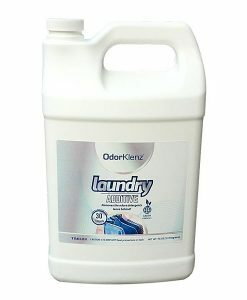 OdorKlenz Laundry Additive offers simple, safe and fast odor and fragrance elimination of machine washable fabrics affected by common laundry odors. The product is non-bleaching or staining, and most importantly, no masking agents or additional fragrances are added so your laundry will come out clean and fragrance-free. 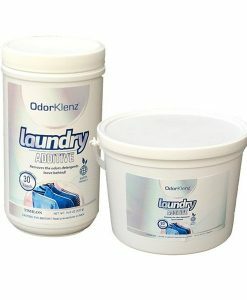 OdorKlenz Laundry Additive is a safe and effective additive that eliminates severe laundry odors that normal detergents cannot remove. 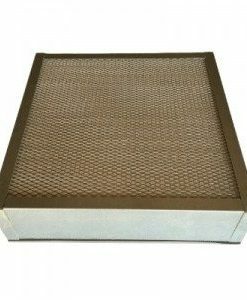 remove at least 99.97% (9,997 out of 10,000) of particles 0.3-micron in diameter from the air passing through the filter. Neutralizes odors, chemicals, & gases. A multi speed blower offers the quiet and efficient air flow. Designed with our outdoor-loving customers (and their furry friends) in mind. The soft mitt contains our patented powder which works fast to absorb and neutralize the odor. The Deodorizing Mitt is also great in a pinch when Fido needs a little freshening up before company comes over or during busy weeks when you don’t have time to give him a full scrub. Consider this versatile mitt a bath in a bag! It can also be used on furniture or fabrics when you need to eliminate a foul smell quickly and discreetly. 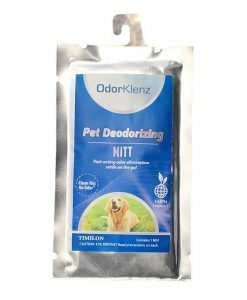 The OdorKlenz Pet Deodorizing Mitt was designed with our outdoor-loving customers (and their furry friends) in mind. The soft mitt contains our patented powder which works fast to absorb and neutralize the odor so you can get back to breathing fresh air. 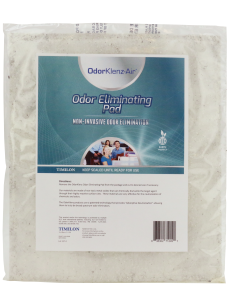 As with all of our odor elimination products, we use our nontoxic, fragrance-free, earth minerals in our deodorizing mitt. We do not rely on masking agents, so you know that smell won’t come back on the ride home, and we are careful not to use harsh chemicals either. Not only does this mean your pet is safe from harm, but it also means your gorgeous surroundings remain free and clear, just as you found them! 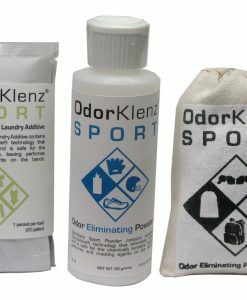 The OdorKlenz Season Sample Bag includes everything you need to keep those uniforms looking and smelling their best! 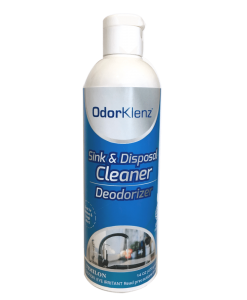 Like all of the OdorKlenz product line, our Sink and Disposal Cleaner and Deodorizer consist of simple, safe, and naturally powerful ingredients. We use no fragrances or masking agents. 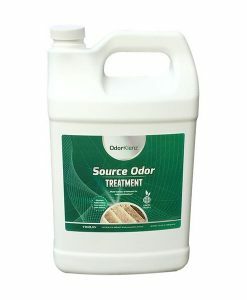 Other products seem to deliver positive results but are merely covering up disgusting odors. With OdorKlenz you can be confident that you are truly eliminating musky scents so they will not sneak up on you later. 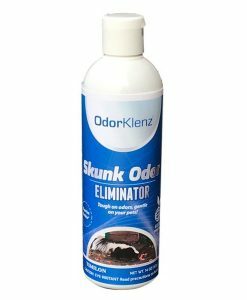 OdorKlenz Skunk Odor Eliminator is your #1 trusted source for safe and complete skunk odor removal from your carpets, furniture, laundry or other surfaces exposed to your pet. 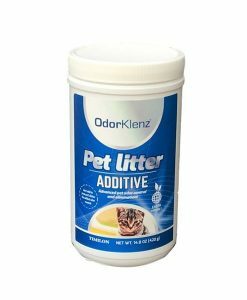 OdorKlenz is even safe to use on your pets and contains no masking agents or alcohol. OdorKlenz Skunk Odor Eliminator was developed as a field treatment for pets who have been sprayed while hunting, walking, hiking or playing. 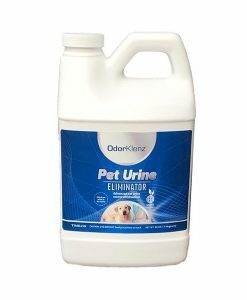 The unique technology neutralizes the skunk odor on contact eliminating the possibility of contaminating the car, the house or you. It can also be used on carpet, laundry or other surfaces that may be affected by skunk odor. 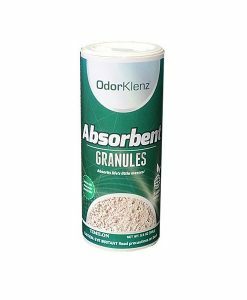 Made from earth minerals with our simple and effective proprietary formula, OdorKlenz Source Odor Treatment neutralizes odors completely without damaging your carpet, tile flooring, wood flooring, or upholstery. It is water based so it is safe to use on almost any surface as the non-bleaching, non-abrasive, non-toxic alternative to the market’s harsh chemical products.